In what is potentially one of the weirdest cross-promotions ever, Lady Gaga has teamed up with Zynga, the company behind FarmVille, to launch GagaVille. Starting May 17th, all of the “Little Monsters” – the nickname for fans of Lady Gaga – will be able to visit GagaVille where they will find a farm inspired by the singer. 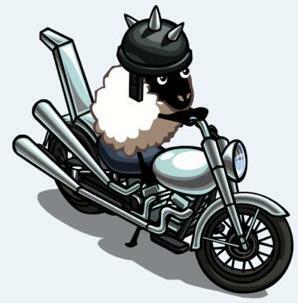 You’ll find unicorns, crystals and sheep riding motorcycles (no … we did not just make that up), plus more surprises. For those who play in the magical land, you’ll also get to hear advanced streams of new songs from her upcoming album, Born This Way which releases later this month. The promotion also extends to the popular Words With Friends which will be running a Words With Gaga game where you could win concert tickets or an autographed copy of the album. RewardVille will be offering up exclusive items that you can use in any of your Zynga games. You’ll also be able to purchase a $25 Zynga game card exclusively at Best Buy that will allow you to download a digital copy of the album as a bonus. What do you think? Does this cross-promotion make sense to you?